THE ALL-NEW GREENLINE 39 IS DESIGNED TO PROVIDE AN UNFORGETTABLE EXPERIENCE THAT IS RARELY FOUND ON SMALL YACHTSGreenline 39 all about sophistication in design, technology, production and environment. 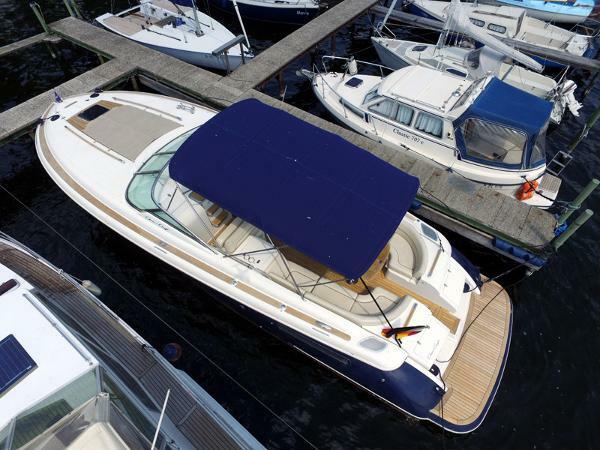 Thanks to dedicated engineers and designers, as well as experienced craftsmen skilled at latest technologies in boat building Greenline 39 has become one of the most popular boats in a short time. Greenline 39 design profited from feedback of hundreds of users from all over the world. We improved every single point, from boarding the boat to hydrodynamics, from seaworthiness with low consumption to more speed and stability. 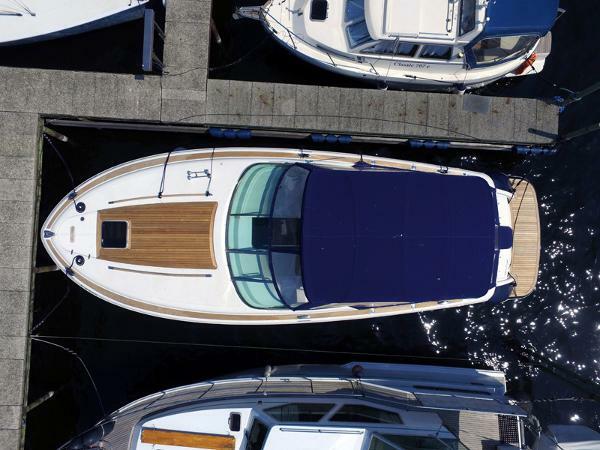 Following Greenline DNA and philosophy, the New Greenline 39 is paying respect to the environment, to other boaters and to ourselves. And it pays back with immeasurable satisfaction. With its open comfortable space and easy water access the new Greenline 39 is equally well suited for day trips as well as long cruises. How can you combine the requirements of offshore cruising with the high standards of a luxury motor yacht?Many yachtsmen have long wanted to expand their horizons with a long range, good performance motor yacht in total comfort and serenity.And so the Lagoon 630 Motor Yacht was born: Heir to the widely renowned marine qualities of the Lagoon 620, its program includes long distance blue water as well as coastal cruising aboard a luxurious residence.To launch this model, Lagoon decided to highlight the reliability of this newcomer in the world of large motor yachts by making her cross the Atlantic Ocean! 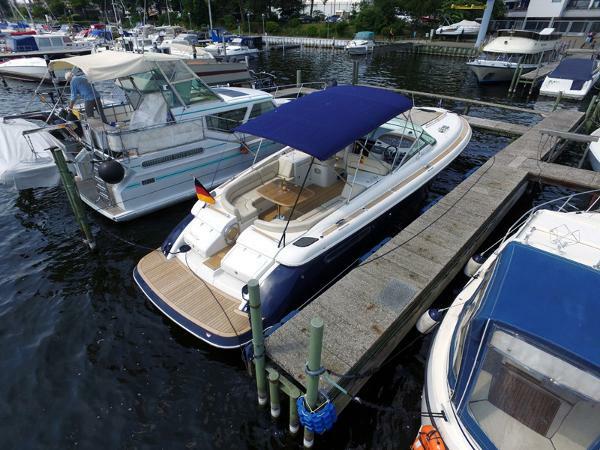 Sehr gepflegte Chris Craft Corsair 36 Heritage Edition in Berlin abzugeben!Erstwasserung belegbar 2010! Das Boot stand, als Vorführboot, von 2006 bis 2010 bei einem Händler in der Halle. Ausstattungsmerkmale:Bugstrahlruder (neu 2018), el. Ankerwinde, Generator (Westerbeke), Klimaanlage, Heizung über Klimaanlage, Spannungswandler, Deckswaschanlage, Warmwasser, el. WC, Dusche,Heckdusche, Ceranherd, Mikrowelle, Wetbar mit Kühlschrank und Spüle auf der Plicht, Kartenplotter Raymarine, Funk (Garmin), Winterplane, Hafenplane, Bimini, Fahrverdeck (neu 2017) Feuerlöschsystem, Unterwasseranstrich (neu 2018, 7 Schichten), Radio, DVD, Teakdeck und vieles mehr...Auch wir können Fehler machen, wir behalten uns deshalb Eingabefehler und Irrtümer vor, unter anderem zu technischen Angaben, zum Liegeplatz und zum angebotenen Ausstattungsumfang. Never one to rest on their laurels and following several years of speculation, Sunseeker announces the forthcoming launch of a brand new high performance day boat – the Hawk 38. Sunseeker has returned to its performance roots to deliver an exciting and dynamic stepped hull in conjunction with Fabio Buzzi Design, winner of 43 World Speed Records and 55 World Championships! Whilst the incredible design, features and equipment delivers ultimate day-boat appeal, its searing performance will ensure it’s always first to the best anchorage or beach restaurant. With a choice of paint finishes and upholstery, it will also make the ultimate superyacht chase boat; no two boats are ever likely to be the same. Drawing on the company’s racing heritage, the new high performance model will be capable of a leisurely 70mph (62kts) ‘out of the box’ with standard twin Mercury 400R outboards mated to Mercury Racing Digital Zero Effort throttles. The hull has been optimised to take advantage of the latest outboard engine technology giving not only performance benefits but also low cost maintenance for clients. Sunseeker has always dominated this area and will continue to do so with this technologically advanced cutting-edge new model.